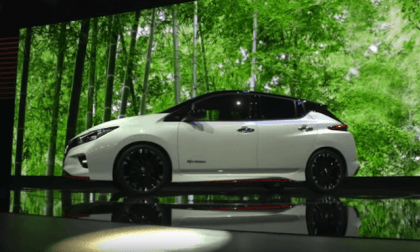 Nissan invites everyone to test drive the new 2018 Nissan Leaf. 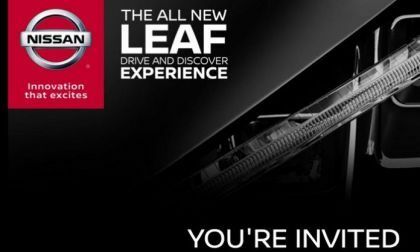 All you need to do is to go to Allnewleafdrive.com and register. 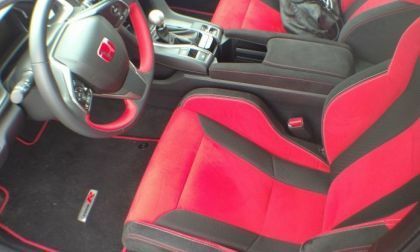 You will be notified when your test drive date is. It's not through Nissan dealerships. 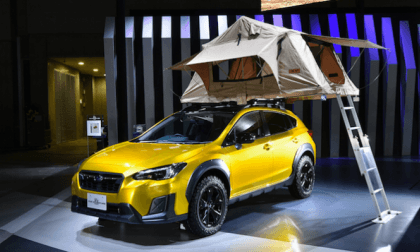 Subaru brings a 2018 Subaru Outback Limited Smart Edition to the Tokyo Motor Show 2017. The wagon steps up the luxury. 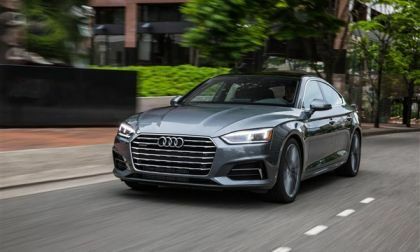 Audi has swept the luxury field in this year's Insurance Institute for Highway Safety (IIHS) ratings of luxury sedans, SUVs and crossovers. 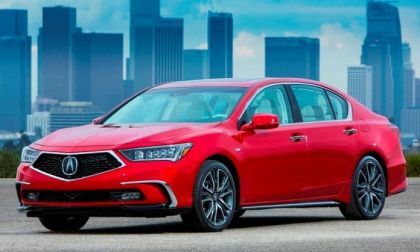 Following a trend in the auto industry to simplify the buying experience while integrating adding value at every new car trim level, Acura presents a NSX performance injected, Precision Performance Concept Car inspired 2018 RLX flagship. What’s new for 2018? 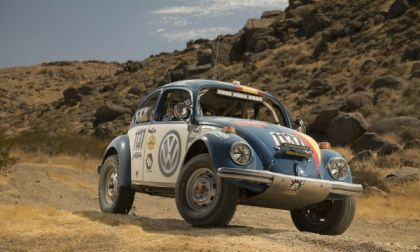 Volkswagen has been associated with the Baja 1000 since the first race half-a-century ago. The thing of it is that most of the VW-based vehicles were campaigned by independents. There was little or no factory involvement. That has changed with this year's class as VW has partnered with a Denver-based team as it plans to make it all the way from start to finish. 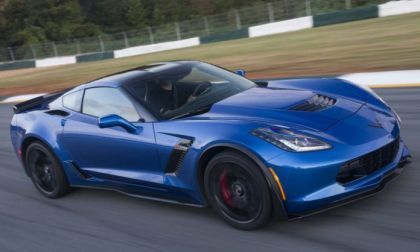 Chevrolet Performance has introduced a new suspension calibration option for select C7 Chevrolet Corvettes from the 2014-2016 model years which will improve handling and ride quality – and owners of these select Corvette models can get this upgrade for just $350. 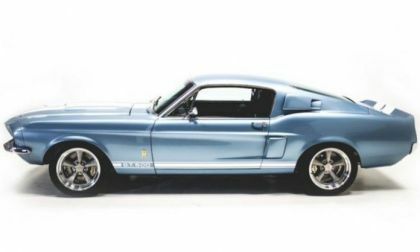 It might sound odd, but you can now buy a brand new 1967 Ford Mustang Shelby GT500 from Revology Cars in Florida, complete with a long list of standard, modern features such as a 600hp 5.0L V8 – making the new 1967 GT500 better than the original. 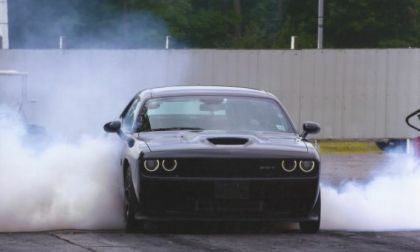 This past weekend, Michael Cole’s Dodge Challenger SRT Hellcat blasted down the quarter mile in just 9.05 seconds, making it the quickest automatic transmission Hellcat car in the world – and the odds are good that this supercharged Mopar muscle car has the capabilities to run in the 8s. 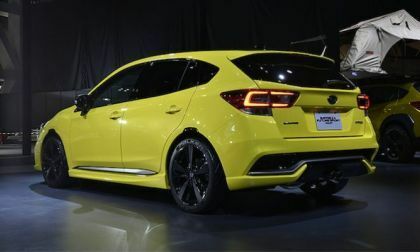 The 2018 Subaru Impreza Sport Concept is the STI-enhanced model fans want in the US. 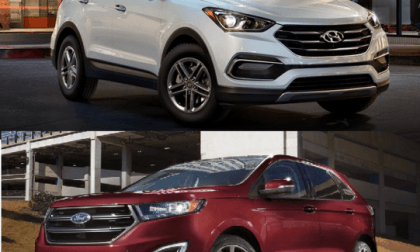 2018 Hyundai Santa Fe Sport 2.0T Ultimate vs. Ford Edge Sport AWD - Which Better Meets Your Needs? We compare the Hyundai Santa Fe Sport 2.0T Ultimate vs. Ford Edge Sport AWD, two roomy, well-equipped two-row crossovers so you can decide which is the one to consider buying. Read more about 2018 Hyundai Santa Fe Sport 2.0T Ultimate vs. Ford Edge Sport AWD - Which Better Meets Your Needs? 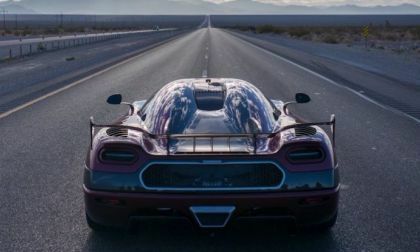 The Koenigsegg Agera RS is now the fastest production car in the world. 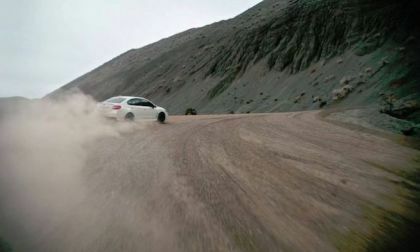 Check out the high-speed record video. 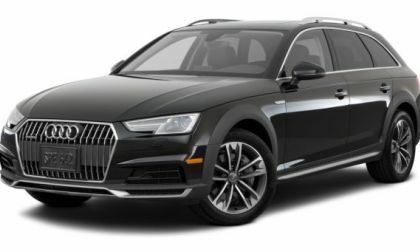 Audi had recalled about 31,000 2017-18 A4 sedan and allroads and 2018 A5 Sportbacks to replace bright speaker surrounds that can come loose and cause injuries in crashes. 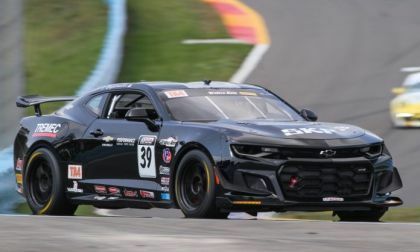 A new Chevrolet Camaro SS is transformed into a competitive road race car with a handful of components from the ZL1 1LE, most of which is available through Chevrolet Performance – meaning that all 6g Camaro SS owners can give their muscle car competition-quality performance with a short list of production-based upgrades. 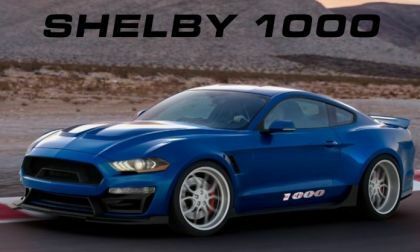 The Shelby 1000 package for the 2018 Ford Mustang has been unveiled with 1000 horsepower, an elaborate handling upgrade package and a unique widebody kit, but this post-title package is for “track use only” – meaning that it likely isn’t emission compliant. 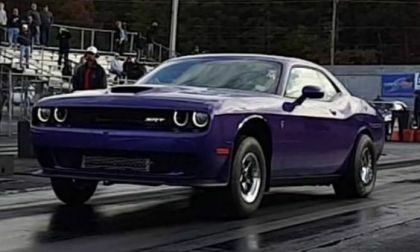 The 2016 Dodge Challenger SRT Hellcat owned and driven by Steven Ripa laid down a stunning 9.34 at 143mph, making this the quickest blower-only Hellcat Challenger in the world while being the third-quickest overall – trailing only the Epling Garage car and the Hellcat Challenger known as TopCat. 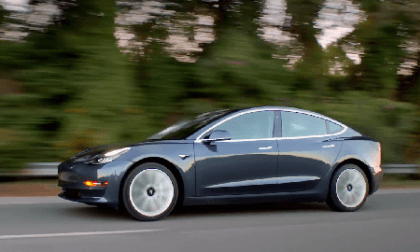 Tesla's Model 3 launch issues are now staking up. 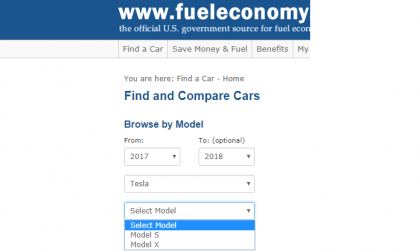 Here are two possible reasons why there is no official EPA data yet for the EV's window sticker and why buyers really don't know what they are getting for their dollar. We compile the latest news headlines on the Tesla Model 3 delays. Apparently, the media has decided the honeymoon is over. 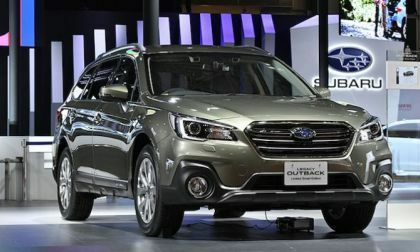 Subaru Corp reports they will hit highs for their 9th consecutive year. They can thank the 2018 Crosstrek and Impreza. 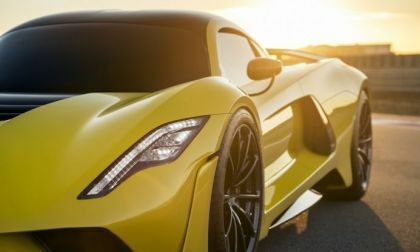 Hennessy Performance unveiled the Venom F5 at SEMA. They aim to make it the fastest production car on the planet. Looking back to Acura’s sales report for October 2017, we discover a noted 30% uptick in NSX deliveries for the month, a new record for Ohio manufactured supercar. What’s driving NSX supercar sales? 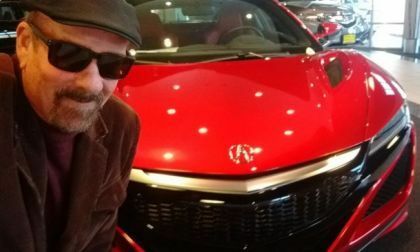 Me, I can’t stop looking at NSX, it’s stunning. 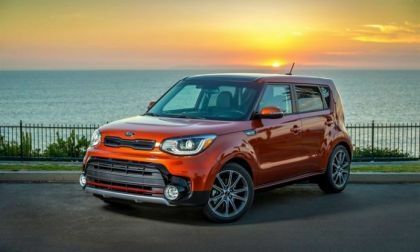 A capable compact utility hatchback by any measure, 2018 Kia Soul earns the Insurance Institute’s highest safety rating possible when equipped with this option. 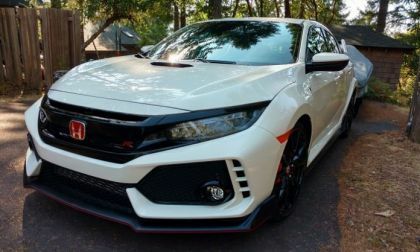 The second model year production run of the first Civic to ever wear the Type-R designation in the United States comes to dealerships this week. How many, how much does it cost, and what’s changed for 2018? 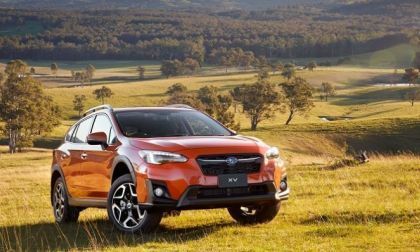 The 2018 Subaru Crosstrek is an adventure machine. It gets even better with a roof top tent. 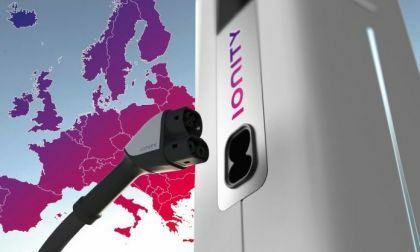 Four major European brands, including Volkswagen, have joined together to form a new high-speed electric vehicle charging network. Called Ionity, the new network announced plans to have 400 charging stations in place by 2020. A new report says EVs will account for 50% of the global market share by 2030. Will this affect your new vehicle purchase? 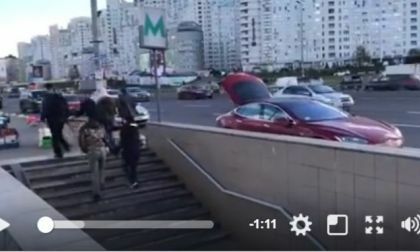 Video, published by Autogeek shows a grandfather in the Ukrainian capital Kiev selling honey from a red Tesla Model S.
The 2018 Subaru WRX and WRX STI drop in sales again. What’s the STI’s fate? 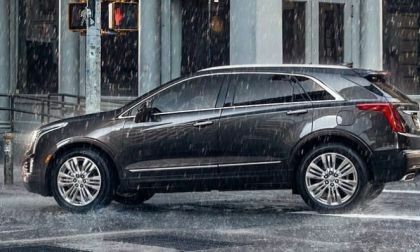 XT4 may be a sign Cadillac’s rebranding is about to take off. 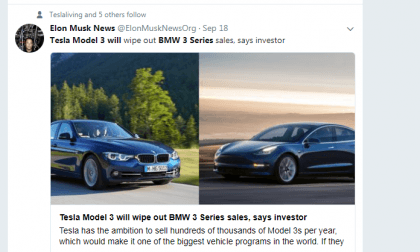 Wasn't the Tesla Model 3 supposed to be beating up the BMW 3 Series this year? Guess what actually happened.